AFTER six years living on Warbreccan Station at Stonehenge, Ingrid Miller says she has never seen rain like she has in the past 78 hours. 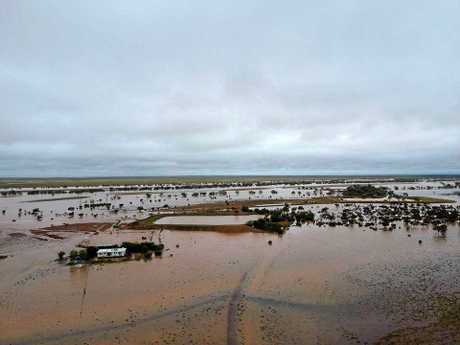 As of 5.30pm Tuesday afternoon, more than 265mm had fallen at the 380,000 acre cattle station since 3am Monday morning. 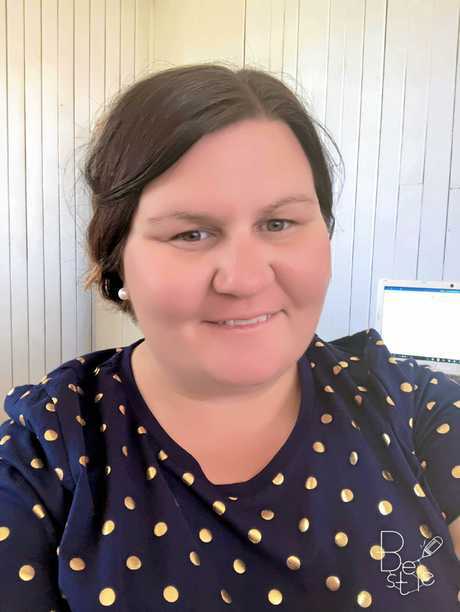 Waking up to the sound of heavy rain of the roof early Monday morning, Ingrid said it had been a relief to get some decent rain after more than six years of below average rainfall. "We are really lucky," she said. "We've had water running where we didn't know water ran. "It has been so long since we have had decent rainfall." After a worryingly dry year last year, the relief in Ingrid's voice was clear as she spoke of the constant rain since Monday morning. "The timing couldn't be better," she said. "It has really set us up for the year ahead. The country responds really well so it is the perfect timing for this rain to generate some growth for the rest of the year." Like all graziers in the Central West region, Warbreccan Station has been hard hit by the drought. Usually stocking anywhere between 8000 and 12,000 head of cattle, the cattle station has around 3000 head. 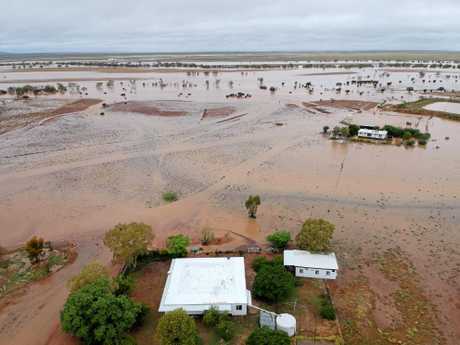 While even the smallest showers are much needed in the west, Ingrid says after having almost 300mm fall in just over two days, she'd like to see it move on to other parts of the region. "Any rain we get now is just run-off, and it would be really good to see it go to those who have missed out," she said. One person who is ecstatic about the rain and doesn't want to see it go is Ingrid's 11-year-old son Rory. Passing the time by playing in the rain all day, Rory would be more than happy to see the rain stick around. "He's out there now playing in the rain and he has been nagging me all day to let him play in it," Ingrid said. Rory goes to the local primary school but Ingrid said he will likely miss this week as they are unable to leave due to the large amounts of water blocking roads in and out of the property. "In his memory he has never seen rain like this," Ingrid said. "It's pretty exciting for all of us." With so much rain in the first three months of the year, Ingrid says it is a good sign of what is to come but it shouldn't be looked into too much. "Last week's forecast said we'd get below average to nothing this week so I think you can only count it when it's coming out of the rain gauge," she said. The heavy rain and storm activity seen across the western region on Monday and yesterday are expected to continue today with the Bureau of Meteorology issuing a storm warning for parts of the region. 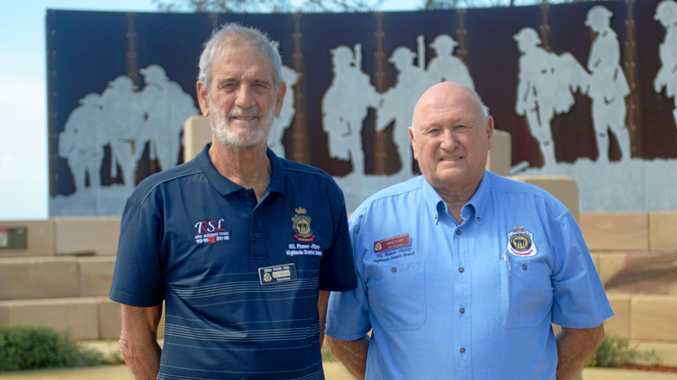 The bureau has predicted bands of heavy rain and severe thunderstorms will appear throughout the day, as well as damaging wind gusts, particularly with thunderstorms. As the surface trough and low move east heavy rainfall is expected to extend to the central interior today and tomorrow. 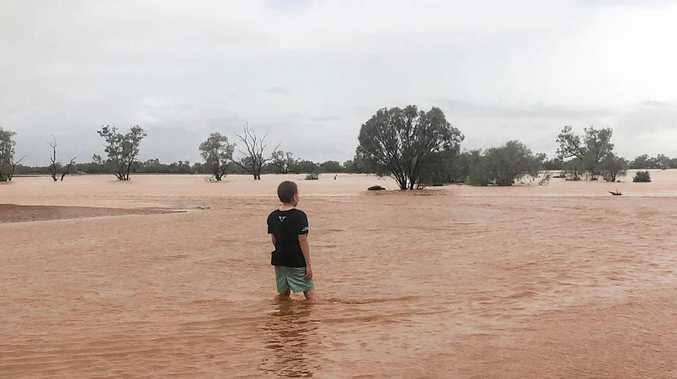 Flood warnings and flood watches are in place for parts of Central and Western Queensland. Capricornia:A high (70%) chance of showers and rain for the southwest part of Capricornia and a medium (50%) chance elsewhere. Central Highlands and Coalfields: A very high (95%) change of showers and rain in the south and a high (70%) chance elsewhere. Central West: A very high (95%) chance of showers and rain area as well as the chance of a thunderstorm and heavy falls.